I am considering brewing Kombucha and had an idea. I needed a 1 gallon fermentation chamber for the kombucha. 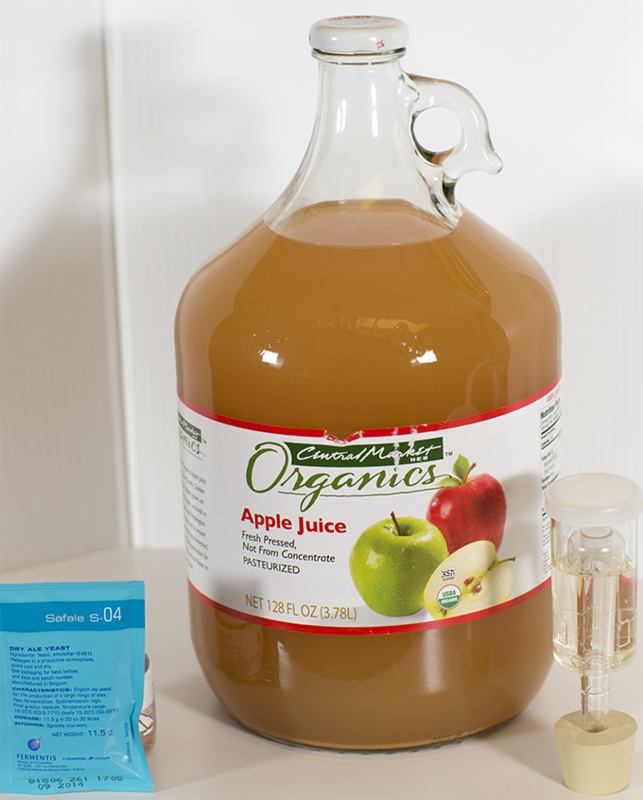 What if I could use the one gallon container that the apple juice comes in for the kombucha? And before I empty the juice, why don’t I make some apple cider with that juice? Maybe I can use the same equipment afterwards for the kombucha. So I went to Austin Homebrew Supply and bought three items: Fermentis Safale S-04 Dry Ale Yeast, 3-Piece Airlock, and Drilled Number 6/5 Stopper. This entry was posted in Cider on April 7, 2013 by Mark.